LIC Jeevan Lakshya is a new plan introduced (in March 2015) by Life Insurance Corporation of India (LIC of India). Jeevan Lakshya plan is a Limited Premium Payment policy. It is a traditional endowment assurance plan. The main feature of this new plan is, the payment of premiums is limited to a term shorter than the policy term. LIC Jeevan Lakshya Policy provides Annual Income Benefit to the nominee. 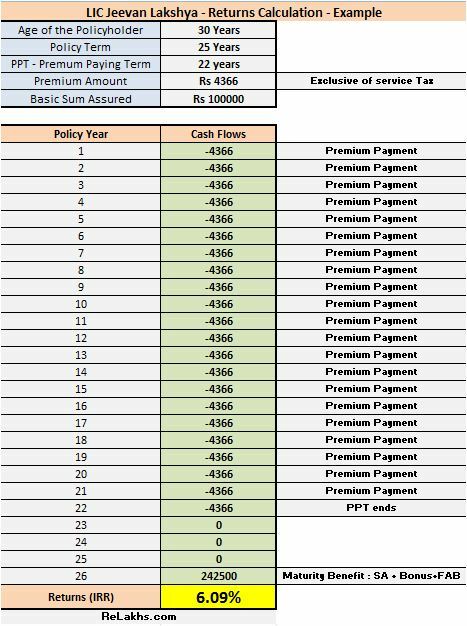 In case of unfortunate event of death of policy holder, 10% of sum assured will be paid on every policy anniversary till the policy maturity. Also, a lump sum amount will be payable at the time of maturity irrespective of survival of policy holder. LIC Accidental Death and Disability Benefit Rider : This rider can be opted at any time within the Premium Paying Term (PPT) of the Basic Plan. The benefit cover under this rider shall be available during the policy term. In Case of death during the policy term, an Amount equal to the “Accident Benefit Sum Assured” will be payable to the nominee. In case of accidental permanent disability, an Accident Benefit Sum Assured will be paid in the form of dividing the amount into equal monthly installments spread over 10 years and all the future premiums for Accident Benefit rider are waived off. The maximum sum assured offered under this rider is Rs 1 crore (subject to the limit of Basic Sum Assured). LIC New Term Assurance Rider: This rider is available only at the time of taking the policy. The maximum sum assured offered under this rider is Rs 25 Lakh. If Death Occurs during the policy term 10% of the basic sum Assured (as annual income benefit) will be paid to the nominee every year from the year of death till the date of policy maturity. At the end of the policy term/ maturity date, nominee will be paid Sum Assured on death (110% of sum assured) + Vested simple Revisionary Bonuses + Final Additional Bonus (If Any). Maturity Benefit : On survival of the policy holder till the end of the policy term, Maturity Amount = Sum Assured + vested Simple Revisionary bonuses + Final Additional bonus (FAB – if any) will be paid to the policyholder. Mr.Pandey (25 years) purchases LIC Jeevan Lakshya Policy with a Sum Assured of Rs 10 Lakh . He opts for 20 years as the policy term and the premium paying term is 17 years (20-3 years). I have calculated the returns using IRR (Internal Rate of Return) function of MS Excel. In the above example, policy duration is 25 years and the Premium Payment Term is 22 years (25-3 years). At the beginning of 26th year (policy maturity), the policy holder will get around Rs 2.42 Lakh. I have assumed Rs 45 per Rs 1000 Sum assured as Yearly bonus and Rs 300 as Final Additional Bonus. So, the expected returns from LIC Jeevan Lakshya can be around 6%. Should you buy LIC Jeevan Lakshya policy? Is this a good plan? Generally, the returns from ‘Limited Premium Payment Endowment Plans’ can be somewhere in the range of 5.5% to 7 %, which does not help in funding long-term goals. The returns are very much dependent on the bonus rates ( Simple Reversionary and Final Additional Bonuses) that LIC declares every year. Kindly stay away from these kind of plans if you are expecting higher Rate of Returns. Do not buy this plan just because it offers you Tax Saving benefits. There are better Tax Saving Investment options available in the market. For example, PPF (Public Provident Fund) will give you better returns than these kind of Endowment Plans (if safety of capital and tax benefits are your priority). Kindly be aware of the financial products that you buy. Let me know your views on LIC Jeevan Lakshya plan. Do share your comments. Cheers! You may receive 30 to 50% of total premiums paid as Surrender value (if the policy year is 3rd or in 4th year). Suggest you to kindly inquire on this with your Insurer. * Traditional Life Insurance Plan – A terrible Investment option? * Term Insurance : Is it just a waste of your money? * Life insurance : How to get rid off bad insurance? hi Shreekanth, thank you so much for the details. What is a locking period, I got this policy as one of my uncle was forcing me. Now I have paid for say some 6 months, I now feel that an RD (in Post office)has better returns than this. I want to close this but my uncle is saying that, i can’t close it until I have paid for 3 years. if I close now, I won’t get anything is that true. You can surrender the policy if you had paid the premium for three years. If your requirement is to have adequate life cover, this plan will not meet your requirements/expectations. Suggest you to buy a Term insurance plan (if you want to have adequate life cover) and then can discontinue this policy. even if I get a Term insurance plan, I will have to pay this Jeevan Lakshya for 3 years right? There is no lock-in period as such. If you discontinue the policy now, you will not get back any amount. But, its better not to compound your mistake. Kindly go through the above suggested article. yup, I’m a QA Engineer myself, u are asking the correct person related to testing. when I click on them -> I am navigated to this page as expected. But every time, I have to click on the checkbox *Notify me when someone replies to my comment*. this is obsolete, If I am adding a comment and then giving my email address it’s understood that I need a reply and want to be notified about it. That’s nice! Thanks for your feedback. Will let my Tech team know about this. Hi, This is a Very good plan for investment. If life cover is your requirement, you may buy a Term insurance cover. If you want better returns on maturity, kindly do not mix insurnace & investment together. Traditional life insurance plans – a terrible investment option? Dear Balchander ..May I know the reason/objective for planning to take a life insurance policy? I recently bought LIC Jeevan Lakshaya (with profits) policy. The guaranteed sum of which is 12.5 lac and the tenure is 22 years. I am paying an annual premium of around Rs 65ooo. The policy document doesn’t mention about the actual return except the guaranteed sum. Can you help me understand what would be the tentative return i.e. maturity benefit and death benefits? You may get maturity returns of around 6%. Do you any other life insurance policies? Traditional Endowment life insurance plan – a terrible investment option? Term insurance + PPF Vs endowment plans. Thanks for your reply, Sreekanth! It means I’ll get around 6% compounded interest on my annual premium (Rs 65K) which comes to around 13 lac + guaranteed sum (Rs 12.5 lac) on maturity. i.e. around 26 lac or so.. Please correct me if I’m wrong. Also, there is one more benefit called Final Additional Bonus (FAB). Any idea how much FAB would be in my case? Dear ashish ..6% includes everything. It is advisable to avoid investing in these kind of plans. If you do not have adequate life cover, you may buy a term plan. If returns are your priority then there are better tax-efficient investment avenues. In case if you have a term plan and invested sufficiently and are ok with 5 to 6% returns, then you may stay invested in these kind of plans. LIC bonus rates for 2016-17. Term insurance + PPF Vs Endowment life insurance plans. 1. Suggest me a good term insurance policy. I am thinking of going with either Kotak or hdfc. Whar do you suggest? 2. I’ve a Birla Sunlife Vision Plan for which i pay Rs 60,000 as annual premium though I’m not sure about the returns. The policy doc says that the policy term is ”to age 100′ while the premium paying term is 27 years. The guaranteed survival benefit is about 24 lac. It looks like similar to LIC policies which yields terrible returns. What’s your opinion on this policy? 1 – Any term pan as long as it meets your requirements and affordable can be bought. 2 – Birla Sun Life Vision Plan is a Traditional non-participating Whole Life Plan. You may discontinue this one too but after buying a Term plan. I’ve started investing in Mutual Funds after reading your blogs. I really appreciate the time you are taking to write such blogs and sharing your knowledge. I’ve following queries, could you please share your thoughts ? 1. I’ve taken 75L HDFC term insurance plan recently. But I already have LIC BIMA Gold #174; 20 yrs policy; ~10k premium; taken in 2005 matures in 2025. Should I discontinue this policy as I already have term insurance? 2. I don’t have any PA insurance policy. Do you think I should take one? I have not opted for any accident riders in my HDFC term policy as most of the online forums suggested to take separate policies dedicated for accidents to get the better benefits( disability/partial disability etc..). 3. My company provides 5 L medical insurance that covers my family and mother as well. Do you still recommend to take Family Floater policy? The only advantage i see is, company policy will not be useful just in case if I loose my job and need medical attention before I could get new job. Are there any other benefits apart from this? 1 – You can consider making it a PAID-UP policy. Read: How to get rid off unwanted life insurance policy? Read: Best Personal Accident Insurance plans. 3 – Your company provided cover might not be available after your retirement. The same benefits might not be available in new company (if you join new company). The group cover terms & conditions might get changed at the time of renewal. Suggest you to buy a stand-alone health plan. Evaluate these factors when buying a health plan. I appreciate your concern regarding financial literacy is concerned. In India Financial literacy is quite low and people like you is indeed doing good job regarding the same. But I find every financial expert has some or other form of negativity regarding Insurance Products. They only believe in term Assurance Plan. But I don’t think any company will run by selling term insurance plan. Hence each and every company will have to close from India. Suggest something to run insurance business only through term plan. Insurance is not meant for only tax benefits. It is designed for long term disciplined saving product. I hope you can understand the meaning of disciplined saving products. If you have any article regarding the same. Please share with us. Why do you think that every Financial Experts are reviewing insurance products negatively? Is it about all insurance products or only traditional plans? Kindly define ‘what is long term disciplined Saving product?’. It is nice to read all your’s valuable post. I think LIC is best for security of family after policy holder’s life, not for the investment purpose. Hi Mr. Sreekanth Reddy, I need your expert opinion on my financial matter. I am a 30 years old women earning 80,000 in hand per month and have a 3 year old daughter. I HAVE NOT MADE EVEN A SINGLE INVESTMENT OR SAVING. I WANT TO BUY A LIFE INSURANCE to give my child a safe future child in the event of my death or any other mishappening. I also want to invest money for my child for her higher education abroad, marriage and a safe future etc. I want to invest in safe options. Maybe PPF and LIC insurance policies. Please suggest ways and give options. Please suggest how much amount for how many year and in what all schemes/policies. Need your expert help urgently please. I can suggest you best option in LIC & that will give you 100% benefit as you wish. Dear Arvind..May I know the best option & what is 100% benefit here? Kindly provide more details. Very quick reply bcoz of my reply to Jyotsana & you got a chance to put a question as you alwase ready & wait for that. May i know why not answered by you to Jyotsana who want help on May 6, 2016 at 6:29 pm ???? 100% benefit means if parents will be live or not live policy will help every time according to plan . 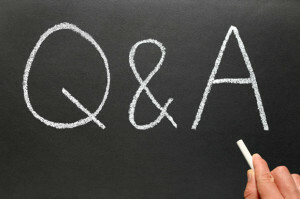 Intentionally I have never left my blog readers’ queries unanswered. We have faced some technical challenges (wrt database tables & connectivity) during 6th to 9th of this month. You may notice that I am yet to answer all blog comments which have been posted during 6th evening to 7th May across all articles. As soon as database tables are restored I am more than happy to reply to queries. As a caring & responsible parent, which plan should be taken if life cover is the requirement? Dear Mam, we have a very good plan for your need. If you can an appointment, we can come & explain the same. I am in need to buy a term policy, family health insurance, permanent/temporary disability cover, accident insurance. I have tried earlier too but its too much of reading and I seem to confuse, can you suggest which one is good in each category. Please dont suggest to ‘decide yourself’ i have tried and failed, May be in 6 months time i may come up with a best policy to buy after browsing web. But as of now my family is totally uninsured. S o i am in a haste, can you suggest (like you did for mutual funds) what are the policies (life/health/accident/etc ) you are holding yourself? Term insurance – I would not like to share. Health Insurance – Star Health Family Floater insurance policy. Personal Accident Insurance – I do not have. But provided for sufficient investment income (passive income) in case of any unfortunate occurrence of risk event. Kindly note that I have listed down the best plans (as given in MF list) for all the insurance categories Life/Health/PA. Best Personal Accident Health insurance plans. As I do not know your current financial profile/health profile, financial obligations, affordability level etc., It is tough and also unfair to shortlist any one product. Can you please elaborate me, what is premium payment rebate mode means ? how do I avail this facilities ? LIC of India provides rebates on the premium to be paid based on the mode of payment (monthly/quarterly/half-yearly/yearly) made by the policy holder. The highest rebate is given to the yearly mode. For educated and non-partial LIC policy details in Pune, please contact me, Soumyajit on 9503348197. I am a software engineer by profession and an insurance consultant by hobby. As I understand the basics of financial planning, you can be sure you are getting unbiased practical opinion based on my own experiences. i have 1 cr term insurance new adding new plan child policy this plan my salary income 5 lakhs p.a already 1 cr sum assured 20 times over so new policy apply any claim problem? I want to secure my future in terms of my would be financial needs, at least 60% of it from now on. 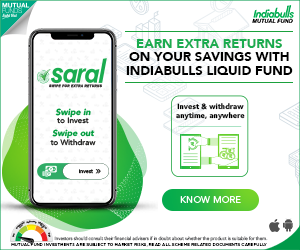 Is there any systematic investments plans, you can suggest. Also which is best plan for term insurance. Kindly go through my article : Best Term insurance plans. Read my article on ‘Best equity fund SIPs’. I m a follower of your posts about financial management and totally agree with you regarding endowment plans Mr. reddy, after reading your article having examples of Mr tendulkar and Mr gavaskar. And i thank you for giving knowledge regarding financial management in such a simplified way. I know that lots of insurance agents will not like you, but you have given the power to people’s hand. If you need any advice regarding health, please message me at my facebook page/email. Thank you very much and keep moving forward. Thank you so much for your appreciation and motivating words. Keep visiting my Blog and do share the articles with your friends. IN VILLAGE PEOPLE NOT HAVING IT STATEMENT ,SO TERM PLAN NOT GIVEN TO THESE PEOPLE .VILLAGE PEOPLE MENTALITY NO RETURN MEANS NOT TAKING POLICY.ONLY FEW PEOPLE ARE INTERESTED TO TAKE TERM PLAN. Yes it is tough to convince everyone on Term insurance. But think the other way, huge business opportunity out there for term plans. What say? Willingness to educate the clients / prospects is important. Guys dont just go blindly for taking insurance with private firms. Check their claim settlement ratio also. Dont go for cheaper insurance by listening. Few years back in mumbai terror attack ATS chief Mr. Hemant Karkare ws shot dead by the terrorist. LIC has settled his policy of 25 lakhs in just 5days time which is the fastest in claim settlement history. Whereas HDFC standard life after six months sent a letter stating the claim has been rejected. Coz he went on his own risk without any safety measures. So claim cannot b given. Guys pls dont jst listen to anybody and look for private cheaper insurers. LIC is a brand. Its upto u if wanna hav a maruti 800 or Brand mercedez. You are yet to answer/share your views to some of my questions. Kindly reply to my queries. in the example given by me, Mr. Rohit has paid premium only for 5 years. Suppose we say rohit has paid 63000 p.a for 5 yrs = 315000. Upon his death, frm 6th yr onwards till 20th year his family will be paid Rs.100000 till 20th year of the policy. so total returns family received is 3910000.
the above is in case of natural death. If it ws a accident case then at the time of death 20 lakhs and rest as above. i.e 3910000+2000000 = 5910000 against 315000 paid by Rohit till he ws alive. Now can anyone say its a rediculous policy??? Do you know how much sum assured one can get for a premium of Rs 31,500 under a Term Plan? The sum Assured will be how much, maximum 2crore.. if taken from a company selling insurance at a cheaper rates. But my point is what are their claim settlement ratio. Arey the Gaint of the insurance industry LIC has not yet reached the 100% markup. As per IRDA LIC ranks first in claim settlement ration of 99%. Why dont you tell public abt the claim ratio. Yes, i agree with you that LIC has the highest claim settlement ratio. But, we need more data like what is the claim settlement ratio for term plans alone.. I do suggest my blog visitors /clients to buy LIC e-term plan, if they are comfortable with LIC only. Kindly read my other posts then you may change your view. Dear basically what na our indian people mentalatiy is, even if i get a little less no problem but it should be gauranteed. Even i have this mentality. And only LIC gives sovereign gaurantee and no other insurance company gives it. I read ur blogs and post regarding e-term plan of LIC. But dear what about people who are not internet savvy and rural area people (a maximum % of our population). they cant go for it. Whereas a agent plays a vital role for the customer. He is not just earning commision, he has to give his expert advise, his services like collecting premium and pay at counter, collecting the Bond, informing the customers on time to time abt their premium due, and if any uneven happens then he will only run for them to get the claim settled for their family. but all this facilities will not b there for e-term. one has to run for himself to complete the job. arey do we have that much time??? What is ‘Guaranteed” in a traditional policy? What do you mean by ‘Sovereign guarantee’? I just gave an example, quoting “LIC e-term plan”. I have great respect for ‘agents/advisors’. Its a noble profession. Unfortunately, many of the agents/advisors are ignoring the clients interests. Tell me frankly, how many agents (in rural areas) are trying to educate /create awareness about Term plans? I have convinced many people in villages/towns to take term plans. If they are comfortable with LIC, i suggest LIC term plans only (offline/online). Yaar pls dont tell me you dont know what is a sovereign gaurantee. Making fun?? hehehe. Ya you are absolutely true, many agents are handling this noble profession in wrong manner. But agents are educating the rural public abt the importance of term plans. but the problem is they require something for the amount paid by them in return. They bluntly say, arey whts the use if i dont get anything on maturity. and there is no difference in selling term plan/traditional plans. they both yeild same percentage of commision to agents then why agent will not sell it..
‘What is guaranteed in a traditional plan?’. Do you know how much money LIC invests in Equity markets every year? Are you aware of how much money LIC invests in PSU companies? Kindly share your views. Human life is precious, my suggestion is dont risk it with cheaper insurance sellers. dont become prey for these new comers who collaborate with some company or bank. and after few years they fadeoff. But shree i really want to thank you for the efforts being taken by you to educate the people. But nenu anedi yenti antey vallandariki claim settlement ratio gurinchi koda cheppandi Sir. Kindly understand that I am not against LIC. I try my best to project the ‘pros & cons’ of a financial product. client’s requirements, but this is not happening in most of the cases. I have already published an article on “Claim settlement ratio”. Please dont mind, these are just discussions am not saying you are against LIC. i was just giving my suggestions. Am not that expert as you are yaar, but just wanted to hav a fruitful discussions. Actually why i say to go fr tradional plans coz, am also a victim of the 2008 recession getting my funds into minus figure… hahaha. Hey can you give me your contact details yaar if possible. Yes, these are not arguments, but fruitful discussions only. No one is an expert..we are all learning..mutual learning is very important. your investments have to generate ‘returns’ over and above the inflation. That’s the only way to create wealth. If you just stick to traditional plans, inflation will eat away your wealth. This is the fact. Now you decide what you want to do. Cheers! Yes bro you are absolutely right. And for this your retirement calculator is very much helpful.. It will really help one to plan his and his families life accordingly and invest in good and better folio. Can i have your contact number pls, actually if in future hv any doubts and need ur advise then can directly call u. Guys i would recommend please go for jeevan lakshya plan its one of its kind yaar. First of all can u give me a good reason for calling Jeevan Lakshya policy as rediculous?? Dont mind we might have different opinions. I do agree taking term plans are more important, but what if the life assured survives till the end of the term of that term plan. He wont be getting a penny in return. And it would be foolishness for him to take one more term plan at that age there by increasing his premium liability. A proper planning would be to take multiple plans with low premium/sum assured as suitable to ones pocket and with different maturity years. So that income flows at a regular intervals. And then should be backed with a term plan. So that if at all any uneven happens then all these policies along with your term plan will support the family of the decesed. But if he survives till end of maturity of the policies though he wont get any returns frm term plan, but he will find he has built a huge surplus to meet his obligations at different intervals. If you really know the importance of Term insurance, you do not talk about RETURNS from a term plan. If RETURNS are priority then why should one invest in low yielding traditional plans. Why should one take multiple plans? By doing this, only intermediaries will benefit, not the investor. What do you mean by HUGE SURPLUS? Many thanks for your reply. First of all let me make clear that i ws not talking abt returns from the term plan. I do know wht is the importance of term plan and i do have it and i also market it along with traditional plans. upon going through the blogs of yours i found ur suggestions to people is maximum stressed on having term plans and invest in Mutual funds.. Traditional plans are regular, steady and gauranteed income. But mutual funds, SIP, etc are volatile. They r purely based on market performance. Wht if we face one more recession phase like we had in 2008. what will be the value of these funds. They keep on changing as per the market. Even our chartered acountant has advised traditional plans are a good yielding tool in a long run. traditional plans – for long run income. Term plans to backup – so as to meet any uncertain death event only. then look for investing in some secured funds and then for SIPs if have surplus money to invest and then if he can risk for playing in equities. What is ‘Good Yield’ according to you? Kindly give a number to it.. Lets talk abt Traditional plan Jeevan anand. Mr. X @ age 30 has taken jeevan anand for Sum Assured 1700000 for an average annual premium of Rs. 56000 for Term 30 Yrs. After maturity also 1700000 sum assured normal risk cover continues till age 100 and 3400000 accident risk cover till age 70. Upon death nominee will get again Sum assured. Mr.X has paid Rs. 1680000 for period of 30 yrs. say he falls in the tax slab of 20%, so thereby he saved Rs. 3,36000 under tax exemption. So Net payment made by him is 1344000. If the above plan is backed by a Term Plan (as u suggest) for say abt 1.5 or 2crores. Then it wl b a nice living for his family.. if at all he is gone at the age of 63. Kindly calculate the returns in Percentage terms and then share your views. Yes, i agree with you that many of us expect RETURNS from an insurance plan, which I personally believe is wrong. Why do you think this plan is the best? Justify your view with facts & figures. I appreciate ur blog for bringing awareness about various financial products., especially insurance. I used to treat insurance as an investment opportunity as well. slowly that opinion changed- primarily view it as a potential risk coverage. term insurance certainly serves the purpose. it gives me lot of peace as it gives me an assurance of risk coverage in the event of unfortunate happenings. term insurance comes with very less premium amounts and covers risk in a big way. if we r expecting returns as well then we end up paying more premium and it also means u r investing money which will yield low returns. keep up good and unbiased blogging. Thanks a lot for sharing your views. I agree with your opinion. people expect genuine,safe returns even though it is low returns along with risk cover. You have totally misunderstood my views. Every investor likes better and unbiased views / suggestions (whether they are rich / poor). Common people are the ones who require cheap and cost effective insurance plans (like Term insurance), and not costly & ridiculous plans like Jeevan Lakshay. Let me share my experience here.. I have convinced many investors (who stay in small villages & towns) (who fall under low income category) to take term insurance plans. Initially they hesitated, but once they understood the importance of term plans, they themselves went and bought term plans.Kindly note that I am not an agent & I do not sell any company’s insurance plans. Lastly, I am happy that atleast you have accepted that these kind of plans yield LOWER RETURNS…Cheers! The artical has been posted by a person who does not know the basic of financial planing. Insurance is not an investment. It is a solution which compensets financial loses partially occured by some unfortunate events like death, accident, permanent disability. It also gives you good return at the end of term if nothing wrong happens. In one word save your family as well as savings for you. No one can give solution for this problem. namely ppf , bank, post office, mutual fund etc . I request all of you not to missguide common people. I am not an expert but I can confidently say that I know & understand the basics of Financial Planning & Insurance very well. Kindly go through your comments again, I could see lot of contradictory statements..
You said that “Insurance is not an investment.” That is what I have mentioned in my article. We should never mix insurance & investment. So, these kind of plans are ruled out as these kind of plans are not the ideal ones to cover your life. You also said that ‘insurance is for protection’. If PROTECTION is the main priority, an individual can opt for a Term insurance plan to cover his/her life, to protect his/her family’s future needs. You also said that ‘no solution to this problem’. Term insurance plan is the solution for risk coverage & investing in other investment options (for returns) is the solution. Its a nice plan. It gives good return in the form of bonuses that are declared yearly by LIC. In case of mishappening, it serves the purpose. And in case of maturity it serves as an investment. There is nothing to loose from this plan. Life is short. I think insurance has objectives to secure the financial needs of the nominee. Not a saving or fixed deposit / bank plan. Life insurance – its not a waste of money. Its the way you secure your loved ones interest. It is the support. If PROTECTION / RISK COVERAGE is the priority, it is better to buy a Term insurance plan than investing in this low-yield endowment or money-back plans. If RETURNS are important, there are plethora of right and good investment options available. Kindly go through my article again. Cheers!